AskAuto™ - Research. Compare. Apply. 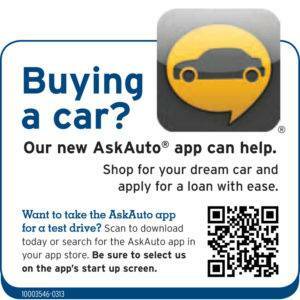 download AskAuto™ to your Android or IOS device! 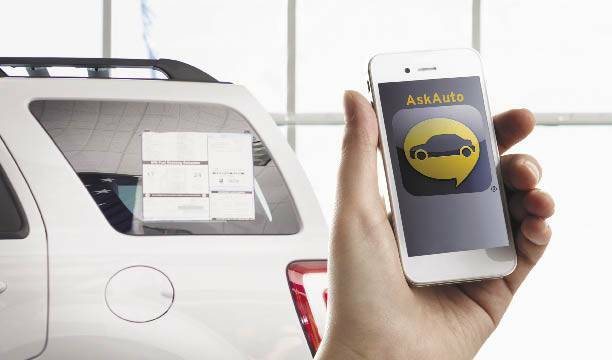 AskAuto will help you research and compare vehicles. – Compare, rank and save notes on vehicles you want to buy. – Apply for a loan anytime, anywhere! Buying power in the palm of your hand.